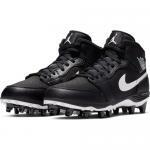 Hit the field ready to make an impact in the Vapor Varsity III. A synthetic leather upper offers your all-star top notch comfort and durability while the low cut of the cleat improves range of motion. 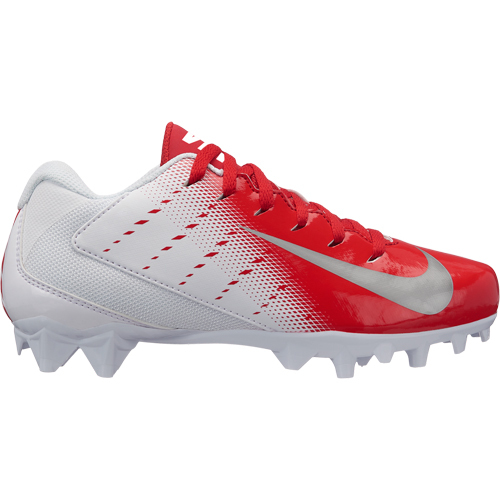 The Nike® Vapor Varsity 3 football cleat has a TPU plate with 14 cleat layout to provide them with the utmost traction and lightweight speed to perform their best. 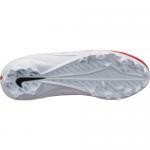 Lightweight synthetic leather upper provides comfort and durability. Low cut for optimal mobility. TPU plate for lightweight strength, 14 stud cleat system delivers incredible traction and acceleration.